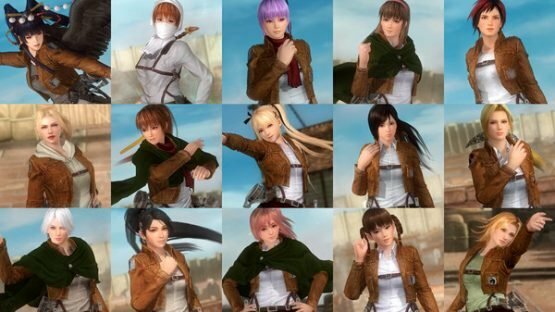 Arc System Works recently announced a costume collaboration with Dead or Alive 5 Last Round, adding to the game’s vastly expansive amount of DLC. 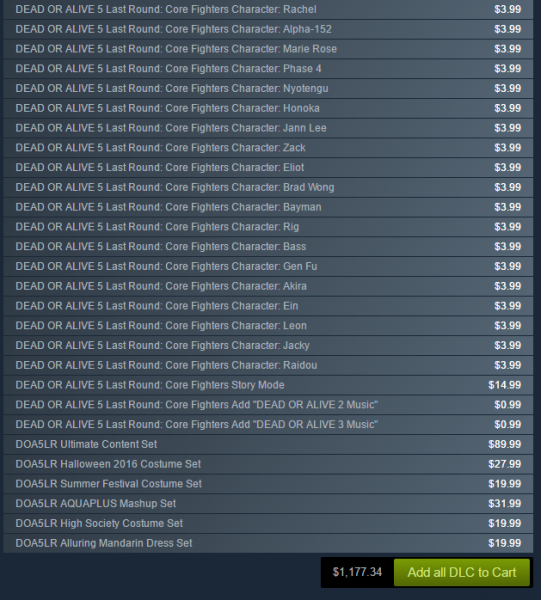 We decided to take a look at just how much extra content there is for the game, and it turns out Dead or Alive 5 Last Round costs over $1,000 in full by now! The current price stands at $1,117.34 (£904.54), with the BlazBlue and Guilty Gear costumes yet to be added to that number. That’s incredible. Maybe even insane. 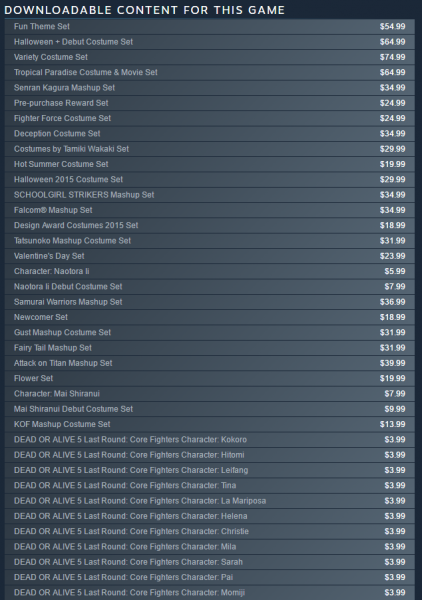 There really is a staggering amount of costumes for this game, covering (or not covering?) everything you could possibly want, from the usual swimwear to Attack on Titan uniforms. Wow. The recent announcement suggests the game shows no signs of slowing down either, so we can expect DoA5 to be giving and taking in equal turn for the foreseeable future. So far, the only other game we’ve found that has quite such a supply of DLC is Train Simulator, weighing in at a staggering $6,052.26 (£3,799.84)! That pretty much blows DoA5 out of the water, and is somehow even more unexpected than the extremely costly hobby of outfitting cute girls. Dead or Alive 5 Last Round is available in all its free-to-play glory on Steam here, as well as on PS3, PS4, Xbox 360, and Xbox One.